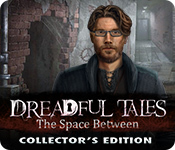 Dreadful Tales: The Space Between Collector's Edition is rated 4.3 out of 5 by 86. Rated 5 out of 5 by cliftonman10 from A Masterpiece This has to be the best Eipix game. A far cry from some of the games of late, this has it all. Scary edge of the seat stuff with heaps of brain teaser puzzles makes for a fantastic few hours of great fun. Can't wait for the sequel. More of the same in the near future please!! Rated 5 out of 5 by nickr63 from nice change of look to the game I liked this game alot. I dont usually do reviews but i felt this deserved one.Two paranormal investigators look into an old house looking for ghosts. It was a little scarey, dark things jumping out from dark rooms,(which i liked) so not advisable for very young children. Good graphics overal and nice that you arnt constantly going backwards and forwards with looking for or using things. The hops were nicely different which is refreshing and the puzzles too. The collectables didnt jump out at you and do need looking for. I find lots of games lately make this too easy and the games finish quickly. I like that you have to take the time to realy look at and enjoy the graphics. Also at the end you can go back and find the collectables that you missed (in the collectors edition). I felt the bonus game was very short but thats the only downside i could find. 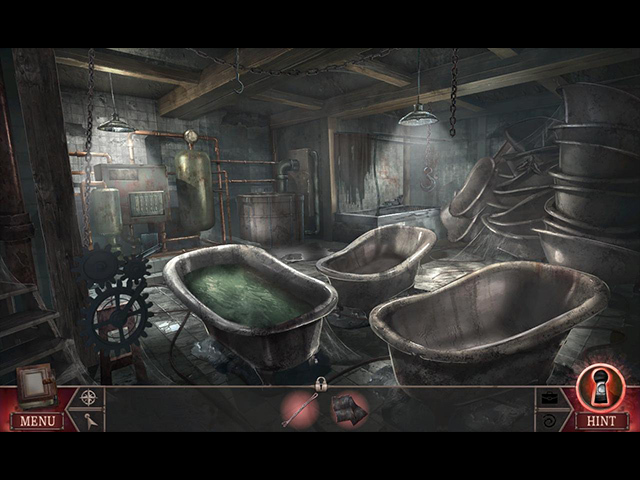 Rated 5 out of 5 by moonpie0739 from Thanks for a true horror game I love this type of game. No purple smoke or mysterious runes or magical powers. Just a straight up creepy house in horrible condition and normal people being pursued by a creature that's just one step behind them. Love the sense of being afraid to backtrack in case the creature is waiting there to pounce on me. More of this type of game please! Rated 5 out of 5 by qkxfnh from A game to keep you going! I really enjoyed this game, it had a lot of different angles and the storyline was interesting. loved the 'false' deaths - nearly had a heart attack the first time it happened - thought I had to restart the game. Rated 5 out of 5 by gamegirl21 from Great Game - It's Been a While! I read thru the negative reviews after I finished the game and I have to say I disagree with their comments. This was such a fun game and I enjoyed the story line. And yes, some things did make me jump. Haha! The game play for the most part was a bit easy but the story line helped in that regard. I look forward to seeing a series made from this. Rated 5 out of 5 by pedroG4mac from Not too big, not too small, just right. One of several recent releases which we are presented with sharing responsibility to resolve the challenges in cooperation with our partner. This allows a fresh perspective on areas we have explored, discovering new solutions. I appreciate the talent of the team currently releasing these remarkable stories. Thank you all. Rated 5 out of 5 by maryjwr from Definitely Not Dreadful I've been with BigFish for several years and own a few hundred games. Dreadful Tales: The Space Between is the best one I've purchased in months. I decided to get the Collector's Edition and this is one of those gems worthy of the extra $$. I went through the game and the bonus game in kind of a rush the first time - I couldn't wait to see what was going to happen next. As soon as I finished, I went through it again at a slower pace, taking time to enjoy the extra features. This is a game I will dust off and play again in the future. Give it a try - I think you'll be glad you took the time. 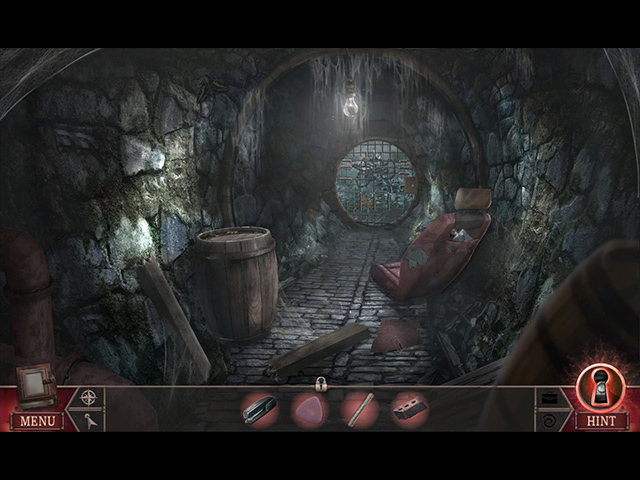 Rated 5 out of 5 by ghatzige from Excellent thriller game Very nice game, with a clear plot and interesting characters. I give it 5 stars with a minor criticism: Personally, I would like to have a better development for the bad guy; it was not well described how he ended up being a serial killer. Other than that, the rest was perfect.